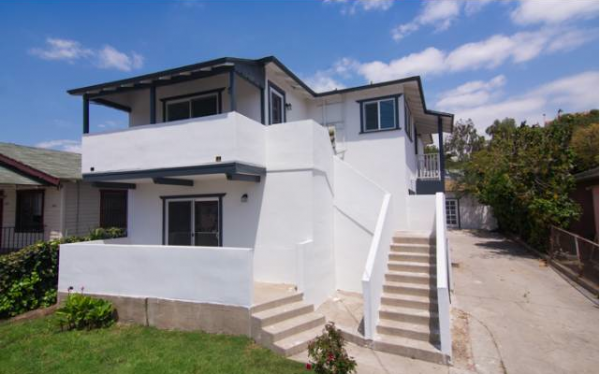 1715 Scott Avenue is certainly a visually striking investment opportunity. Concealed behind the modern lines and white stucco, one can almost imagine how the home originally appeared when it was initially built in 1939. That’s not to say it isn’t an attractive property that could certainly benefit that special owner occupier. Coming on at $895,000 seems rather steep with the market having cooled slightly, and a number of other investment units sitting longer than expected. I’ll be curious to see what it sells for. Revenue for the units is estimated to be between $2,250 and $2,500 a month. Again, a bit above average, but not outrageous. 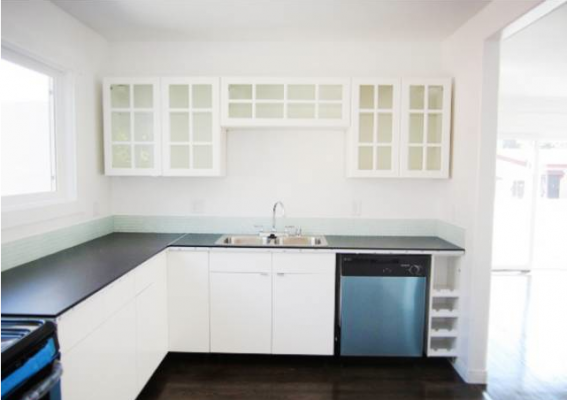 The duplex features 2+1 units of about 1,100 sq/ft each, plus a separate office/studio, and has recently been updated with a new kitchen, bathroom, electrical, plumbing and even tenants. Basically the whole kit and caboodle. The whole enchilada — you get the idea. Sadly we haven’t had the chance to view this property in person yet so all thoughts/musings are based solely on the images provided for the upper unit. Understated simplicity certainly defines the kitchen, and I find the tiny wine rack to be a very smart use of extra space. 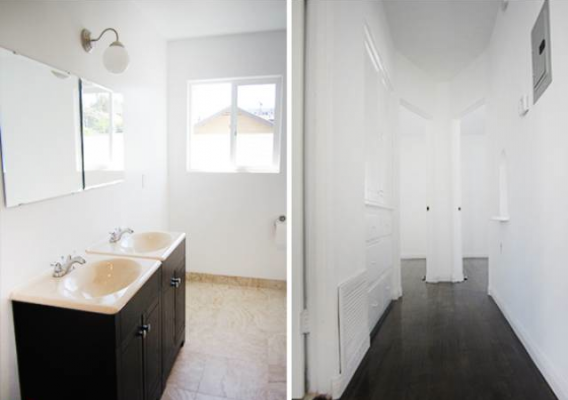 The contrasting dark hardwood floors and white counters give it a slightly modern touch too. The breakfast nook (I think?) 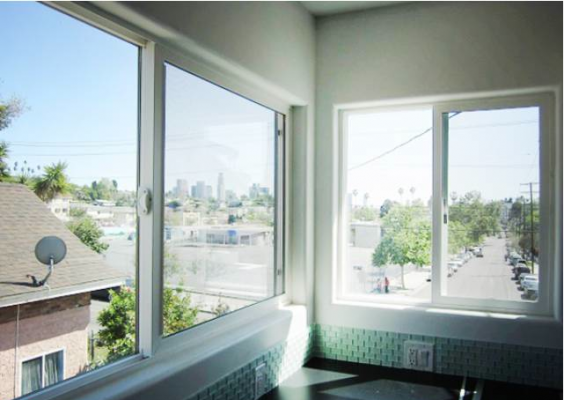 has great views of the downtown skyline, let in a lot of light ,and the glass back splash adds a nice touch of color. While the bathroom looks thoroughly updated, I can appreciate the remaining built-ins in the hall. Additional storage space never goes out of date. Sadly not a whole lot of images provided, which maybe lends itself a bit of mystery, and could be all the more of an incentive to head over and take a look for yourself. 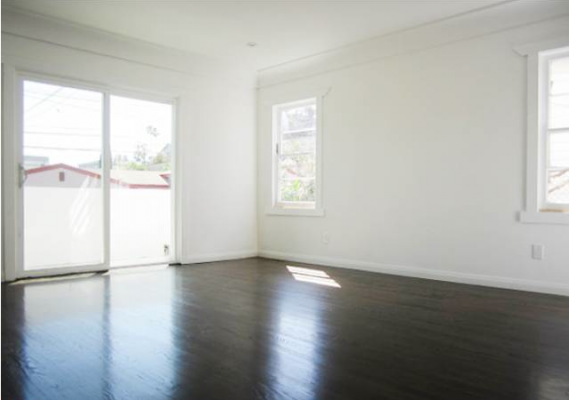 David Bramante of Keller Williams Santa Monica has the listing.